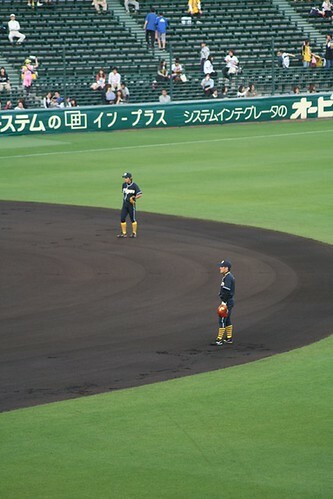 Here are a few photos from last Tuesday's game between our favourite Hanshin Tigers and the Seibu Lions (from the Pacific League). 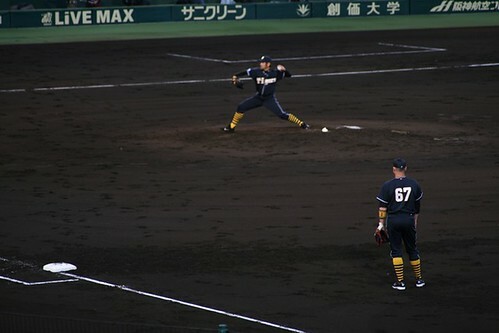 During the interleague, the Tigers are wearing their "black" (actually dark blue) uniforms once again. Classy! As always, you can click on the photos to get larger versions. 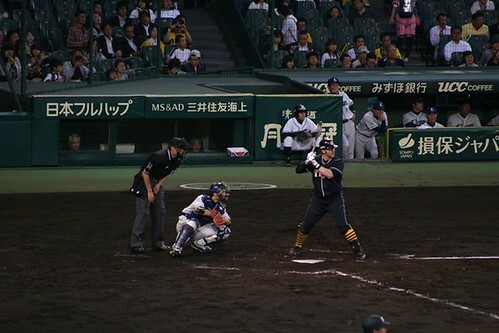 This game maintained my 100% record at Koshien, as the Tigers came from behind to win 5-3. Here is a video of the celebrations after the game. 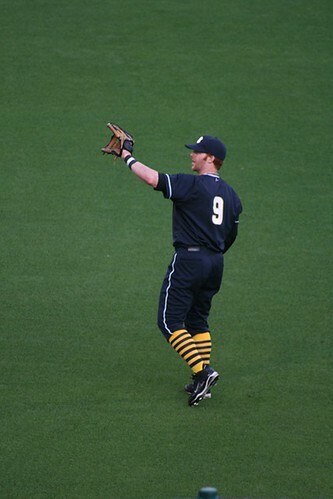 You will recognise the team song, Rokko oroshi (六甲おろし), as well as the cheering song for each starting player.